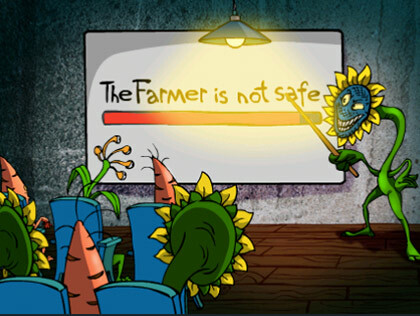 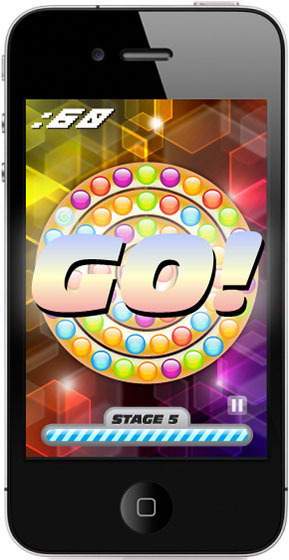 Do you love to play puzzle games? 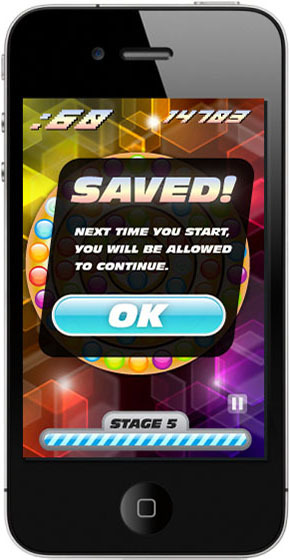 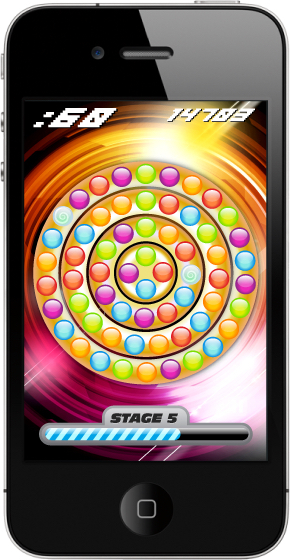 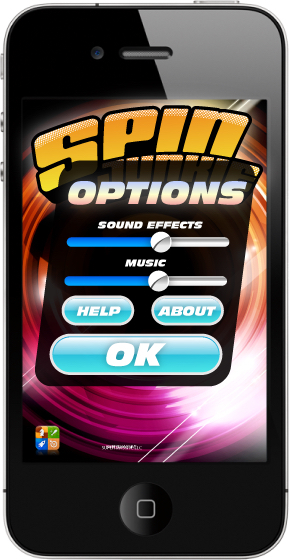 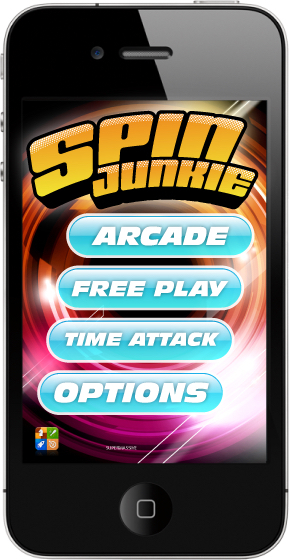 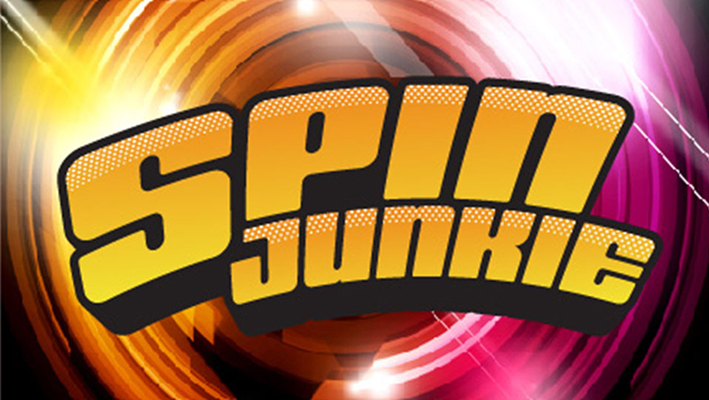 Spin junkie is your new fix to your ‘gem busting’ addiction! 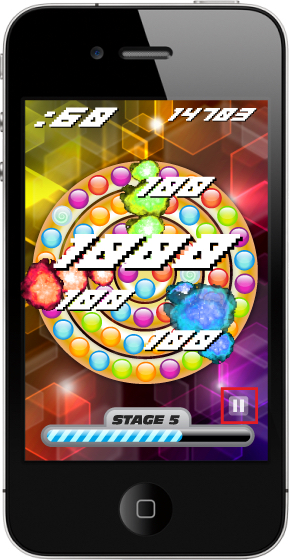 It’s a fast paced puzzler that puts a new twist on the old grid puzzle game format by letting you spin circular rings to create chain reaction explosions. 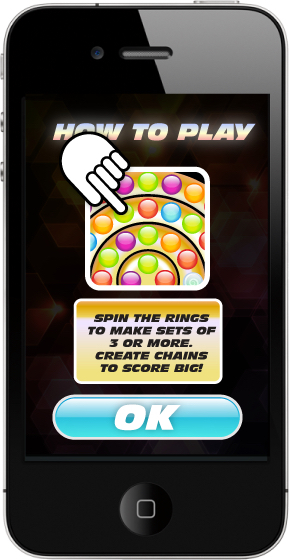 Spin the rings and connect sets of 3 or more like colored gems for points. 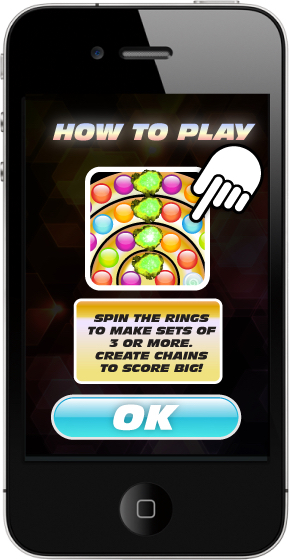 Multiply points by connecting multiple chains to rack up huge points!